Make sure your photographer has experience shooting weddings. Not every photographer has the eye for making that day special. I’ve worked with architectural and nature photographers that are wonderful in their field but fail when it comes to shooting people and the details at a wedding. These photos are something that will be there all your life as a remembrance of your wedding day and a good photographer is worth the extra cost. also, up-lighting, twinkle lights for the ceiling. Not only will the room be warmer but it will add to the ambiance and give a shot of color. Often the attention to things like ballroom carpeting needs a bit of diversion. 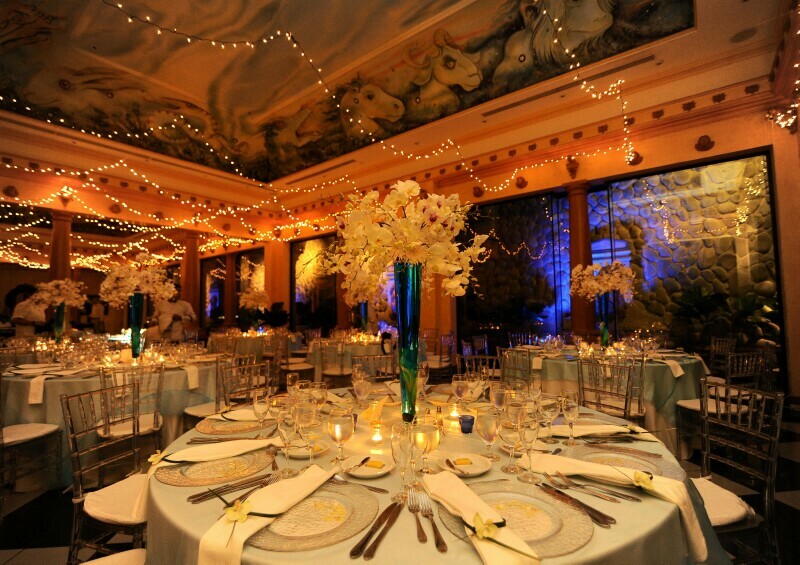 Lighting can create another look to your event. Fun Activities will give your guests something to talk about and put a smile on their faces. 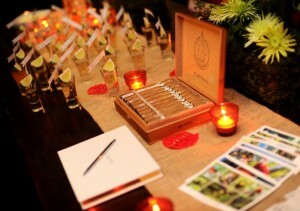 Consider a cigar rolling station, tequila bar, photo booth, dance troupe with drums and costumes, mimes to seat your guests, a magician, juggler or stilt walker. 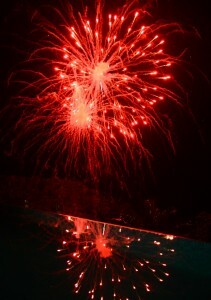 Fireworks is another way to end the evening. Alcohol should be free flowing. It isn’t in good taste to ask your guests to pay for their drinks. Wallets should be left in the hotel room safe. 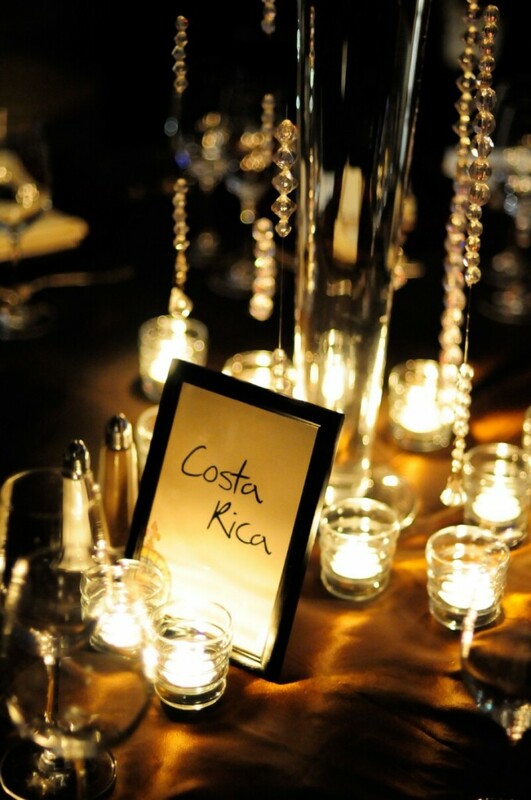 Your guests have traveled to your wedding and paid for their transportation and hotel rooms. They expect a meal and drinks. If you want to keep you budget down offer beer and wine and maybe a signature cocktail. Many hotels will allow you to bring in your own alcohol and corkage will be less than ordering from the venue. Music is integral to a great event. If you can’t afford a live band hire a DJ that will customize your play list. A good DJ will be able to read the crowd and will notice that no one is dancing to the ’80s party jams and will switch it up to something more contemporary to see if that gets the crowd moving. This entry was posted in Wedding Fireworks, Wedding Music, Wedding Pictures, Wedding Planning, Wedding Reception by Randy Gritz. Bookmark the permalink.